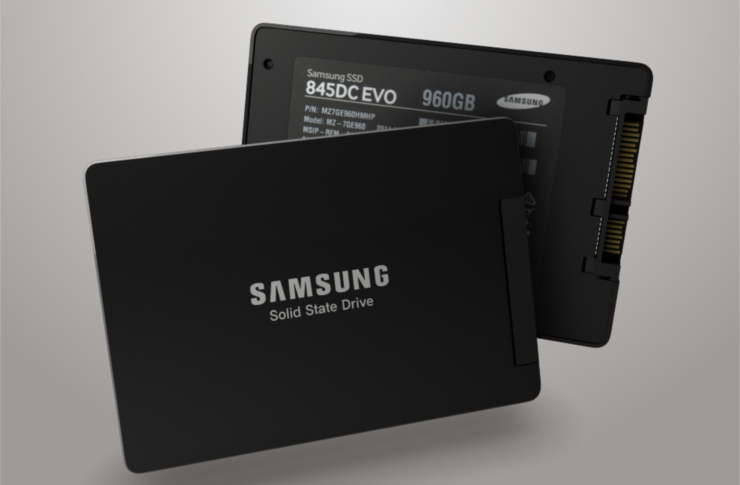 SEOUL, Korea – June 2, 2014 – Samsung Electronics Co., Ltd., the world leader in advanced memory technology, today introduced the Samsung 845DC EVO Solid State Drives (SSD), adding a new SSD line designed for use in data centers to its award-winning memory portfolio. The Samsung 845DC EVO has been designed and built for sustained performance, low latency and high endurance in read-intensive data center applications, such as video/content streaming, application and web servers. Utilizing Samsung’s advanced 10-nanometer class* 3-bit NAND flash memory, the firmware and controller of the Samsung 845DC EVO are based on the Samsung PM853T SSD, which has been tested and qualified for system compatibility by leading server system manufacturers. The 845DC EVO SSD is ideal for small and medium business system integration and data center use, while the PM853T provides a customized solution for OEM server manufacturers and large data centers. Available in 240 gigabyte (GB), 480GB and 960GB storage capacities, the Samsung 845DC EVO features high reliability and endurance. It delivers sequential read speeds of up to 530 megabytes per second (MB/s) and 87,000 IOPS for random reads, while offering a warranty of up to 600 TBW (total bytes written). Samsung 845DC EVO’s active power consumption is approximately 4 watts, which is as little as 25 percent that of equivalent HDD technology for the data center. The 845DC EVO from Samsung will be available in the US and other select global markets later this month.